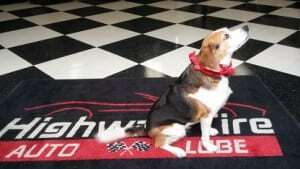 We have been serving the Mooresville, NC area since 2001. Taking proper care of the parts underneath your vehicle’s hood as well as its tires can keep it running for many years to come. At Highway Tire Auto & Lube, we’re here to help you take care of all of your auto maintenance and repair needs in the Mooresville, North Carolina area in an affordable and efficient manner. A large part of what we do at our family owned and operated service center are auto repairs. We can work on your vehicle’s brakes, belts and hoses, exhaust system, climate control systems, wheels, axles, and engine. We can also perform a full vehicle inspection on your car, align your wheels, or change your car’s oil, lube, and filter. One of the main things that sets our maintenance and repair services apart is that they’re complemented by friendly service. Our ASE-certified technicians will not only get your car up and running, but also make sure that you’re completely satisfied with the entire process from start to finish. In addition to our maintenance and repair services, we also run a full-service tire shop. 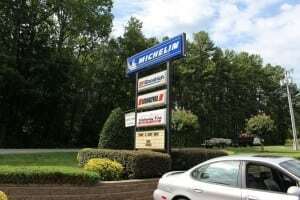 Here, you can find a wide selection of different replacement tires for your vehicle from reputable brands like Michelin, BF Goodrich, Uniroyal, Fuzion, Goodyear, Kelly, Bridgestone, and more. To help you get the best deal on auto repair, maintenance, and tires, we consistently offer specials and promotions on our services. Get in touch with us at Highway Tire Auto & Lube today to find out what specials we’re running or to schedule a time for service.